DORSET — Thieves drove away with three large pieces of construction equipment Monday in a middle of the night heist here. Provincial police in Huntsville say that on February 6 they were called to contracting company located on Muskoka Road #117 in the Dorset area. White 2004 Ford F550 pickup truck with a black dump box with Ontario licence plate of AW 90630. Black 2001 18-foot flatbed trailer with Ontario licence plate K4525M. Orange/black 2012 John Deere 35D excavator with bucket. at muskokatoday.com Only $25 per year. 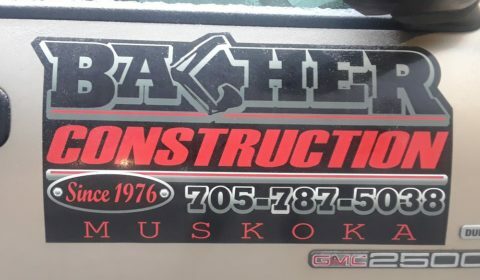 The owners of Bacher Construction in Dorset report three pieces of equipment taken from a compound in their works yard Monday.